Not everyone was ready to be employed as labour force of the large colonial companies. "In the Luisa region, the population of this territory rebels against every type of collaboration with the whites". Minutes of the 288th meeting of the Comité Intérieur Colonial, 1936. 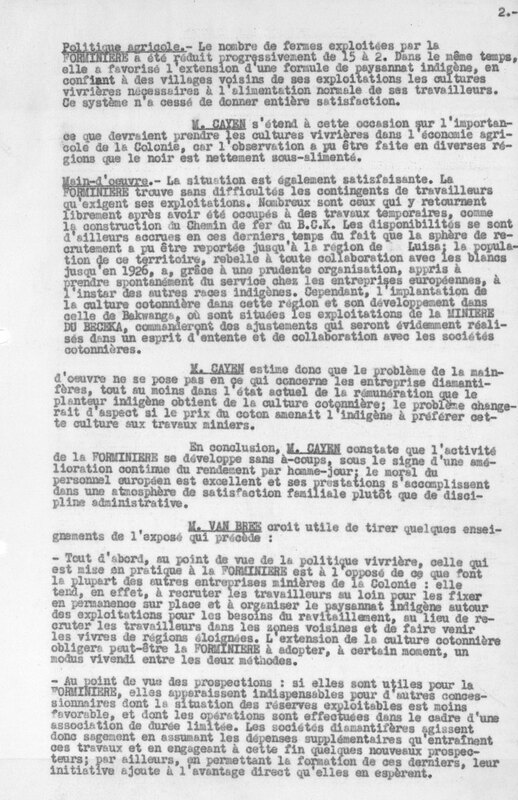 NAB, Archives Société générale de Belgique, Comité Intérieur Colonial, folder 1.